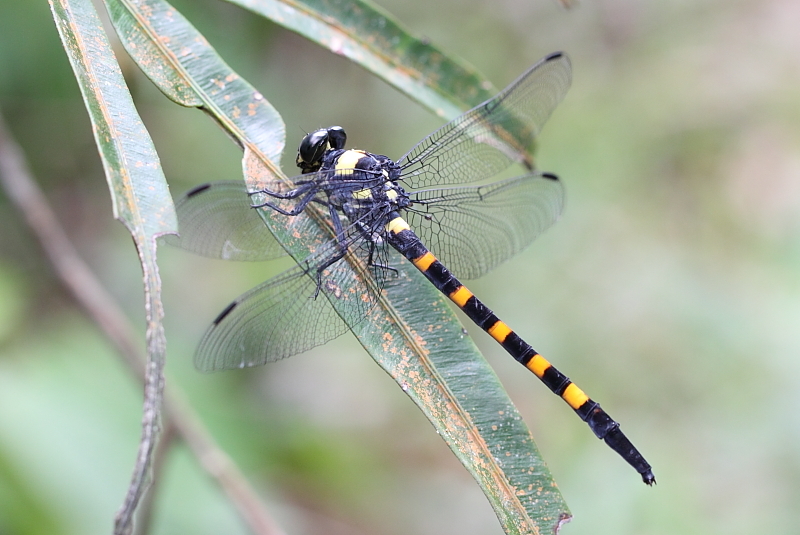 Macrogomphus quadratus is a large Gomphid. 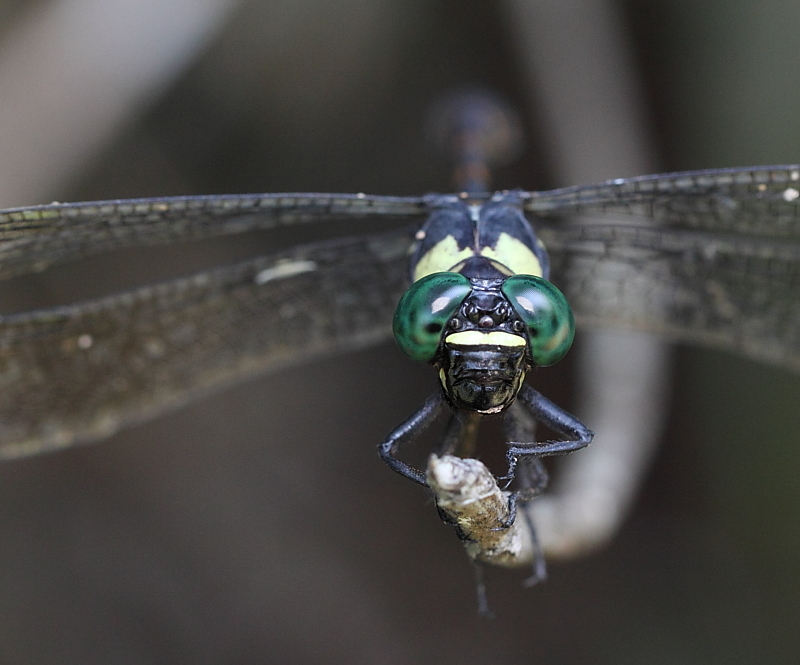 The total body length of this dragonfly is between 72mm-80mm. 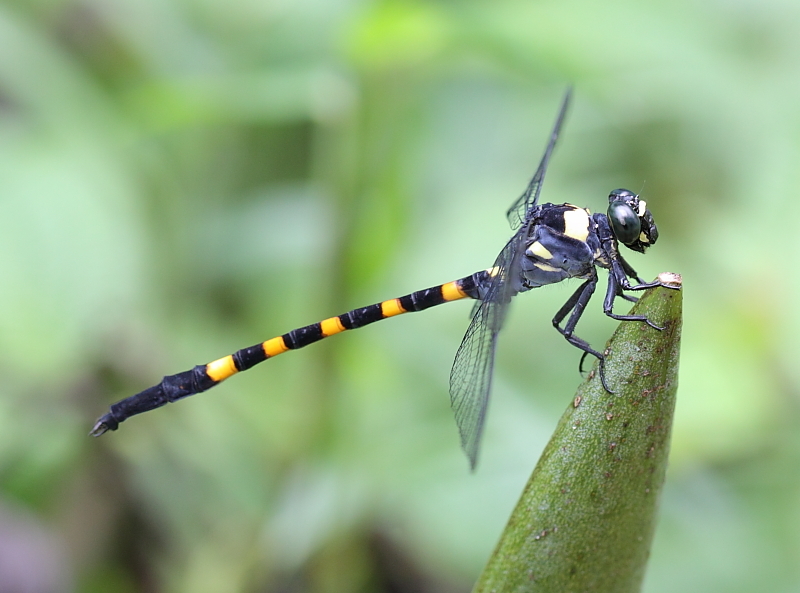 It frequents swampy and sluggish forest streams in the Central Catchment Nature Reserves. The eyes are dark green in young adults, and black in older adults. The front part of the thorax has a large squarish yellow patch. 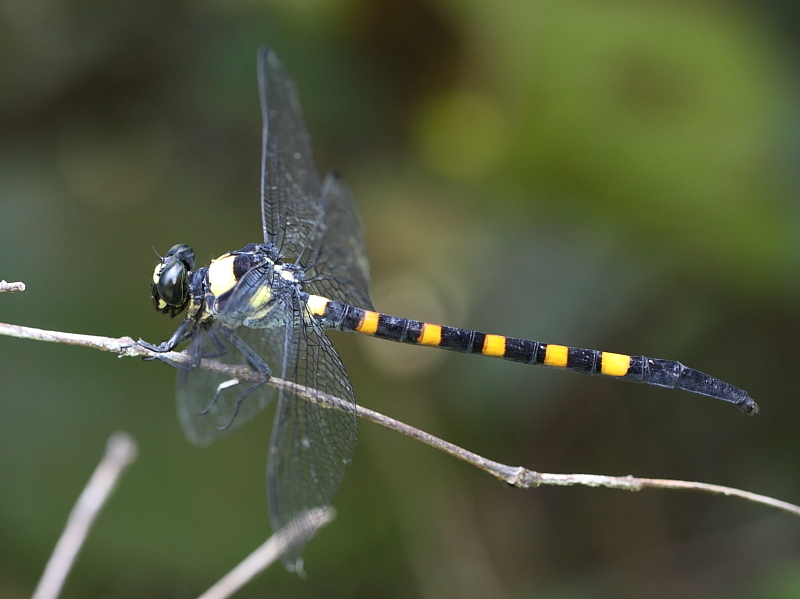 Abdomen is covered with yellow rings around the segment 2-7. Female and Male looks similar. 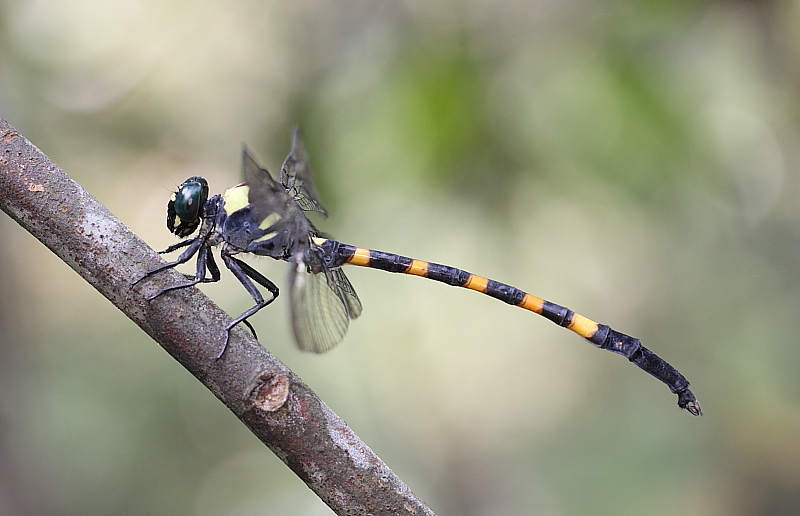 Forktail is uncommon but not rare at the Central Catchment Nature Reserves. It is active during the day, normally seen perching on low twigs or branches.